Whether it’s a photo from a weekend get together with friends, or even a “selfie,” your playful moments at your favorite state park could be published in the Texas Parks and Wildlife Magazine. Additionally, you could win a new HERO3+ Silver Edition GoPro video camera valued at $300. Photos must be entered between March 1 and midnight, April 14. This year’s categories will feature photos by kids (17 and under), photos by adults (18 years or older) and Instagram photos. To enter, visit: www.texasstateparks.org/photography and follow the links to the contest. Sign into Flickr (Yahoo), or for entrants who prefer to sign in with an existing Google account or Facebook account, there’s a way to do that, too. Select “Join This Group” to be added to the “2014 Texas State Parks Photo Contest,” then upload your entries. Don’t forget to tag the state park or natural area where the photo was taken. Photos must be tagged with “17U” if you are under 17 years of age. Instagram entries must be tagged with the hashtag #MyParkPic and include the name of the state park where the photo was taken. The photo contest is open to all photographers, except TPWD employees and their immediate family. Winners will be contacted on or about May 15 through their Flickr or Instagram accounts. For complete contest rules, visit www.tpwd.state.tx.us/state-parks/parks/things-to-do/photo-contest-rules . Whether you plan to enter the contest or not, Texas’ state parks offer a wide array of locations to view and photograph yourself and others in the company of some of the state’s most remarkable scenery, flowers, wildlife and landmarks. 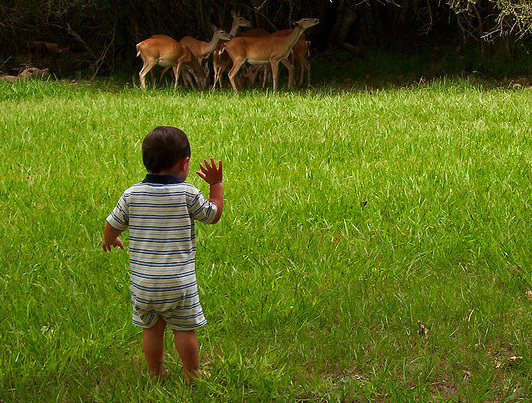 For a complete park list, visit: www.texasstateparks.org.